Little Digits by Cowly Owl is a great beginning counting app. 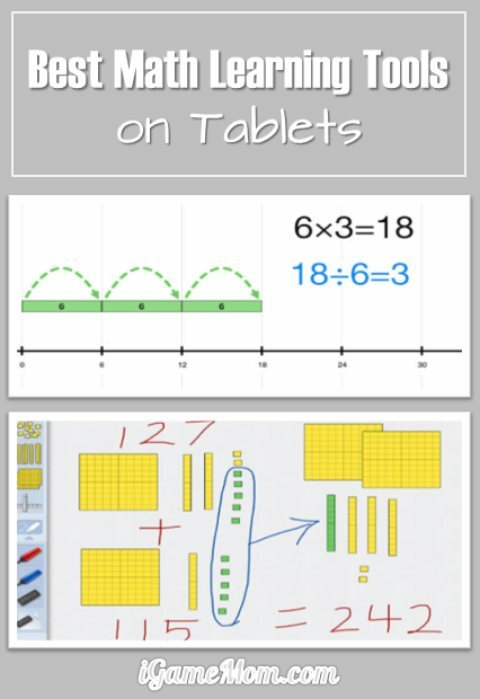 It utilizes the users fingers to answer the basic addition and subtraction questions. Counting is a basic math concept and what better way to get your child excited about math from the beginning than with a fun app! This app teaches children about numbers and counting, but it doesn’t stop there. It is great for a wide range of children because it also covers basic addition and subtraction for those who might have already mastered counting. This educational app utilizes the multi-touch feature to determine what number your child is counting. One finger equals one, two fingers equals two, and so on and so forth all the way to ten. The opening screen gives five choices: the ? button lets your child watch a demo of how to use this app, the 123 button is for counting and letting your child explore the finger touch feature, then the + and – buttons are self explanatory offering addition and subtraction exercises. Another fun feature is accessed through the microphone button in the top right. You can record your own voice or your child’s voice saying each number. This is a fun way to personalize this app. It’s a good idea to turn off multitasking gestures on your device as it could impact the funtion of this game. (Settings > general > Multitasking gestures > OFF) There are also some advanced settings that can be found via iPad settings (Settings > Little Digits). You can turn off the option to record new voices and background music. As well as being able to change the difficulty setting from 10 fingers to just 5. Although this app is geared toward 3-7 year olds; my toddler enjoys exploring the counting feature and pressing his fingers on the screen. This is a great app that will grow with his development. Right now he uses it to explore numbers and how they correlate to the amount of fingers on the screen. I know he will continue to use it as he learns to count and do simple math equations. Little Digits – Finger Counting is available for iPAD. It is $1.99 on App Store. Today’s app is reviewed by Daisy Simpson. Daisy is a proud mom to an active toddler and works part-time in a hospital where she utilizes technology in her work with helping kids cope in the medical setting. Her family loves being outdoors experiencing all Minnesota has to offer.